George Orwell: "The future is up to YOU." Office Hours in room 916: M & W 9:30-10 a.m.; T & Th 12:30.-2 p.m.
HT Campus in room 233: W 6 p.m.-7 p.m. Page last Updated: 29 April 2015, 9:10 p.m. The "Lost Generation"? No. Turn it around. It's your choice. "OWL" links (OWL stands for Online Writing Labs) link to handbooks, workbooks, help desks to assist you with writing problems. PaperRater, a useful style and plagiarism checker. Try it!! But, wait! There's more!! Try Natural Reader to hear your papers read aloud. Wednesday, 1/14 1] Getting started: Introductions, "house-keeping," the sylland success behaviors. 2] The college student's most common question: "Why are we learning this? How I am ever gonna use this?" Let's answer that question about communication courses with some reseaarch of our own: Comunicating as a Professional. Finish all four phases of research question #1 (which we began in class). You will have a well developed paragraph which paraphrases three or four of Adams' best aguments for using appropriate grammar in the workplace and then paraphrases the three or four best arguments Weins makes for good grammar in the work place. Give Adams' reasons first and cite her with a parenthetical citation, then give Weins' reasons and cite his article parenthetically. At the end, include works cited entries for both sources. Folks, use the resources in the box at the top of the lesson page for models of how to cite parenthetically and for discussion of how to paraphrase. It's pretty easy stuff. Note about homework: Folks, the pace of college courses is fast, and I want us to be able to do the hardest work when we are all together, in class. Additionally, we will do many group activities in class based on the homework. Therefore, you MUST do your homework before coming to class. I cannot teach you the required outcomes of this course if you work on them only during class. There is not enough time, and I won't let an individual's lack of diligence impair the progress of the entire class or the success of your group activities. Forget what you learned in high shool about how little effort is needed to in order to succeed. High school (the whole K-12 system, in fact) is "public education," which was developed in the 19th Century to educate the nation's entire population; i.e., it is designed so that everyone is supposed to succeed. High school is supposed to be easy. You are in college now. You have to prove yourselves every day. Make a commitment to keep up with the work, and you will not find it difficult to achieve the course objectives. Don't do the requiste work outside of class, and you will fail it. I promise I will do my job and help you to become better readers and writers and academicians, but you have to do your part, too: Do your homework. Read Cornell note taking format. Wednesday, 1/28 1] Peer review the paragraph assigned for today. 2] Discuss how to begin "phase 3." Bring all three paragraphs with you to class, revised and edited, so that we can rework them into an essay on "Communicating as a Professional" in class. Wednesday, 2/4 No class tonight--transportation breakdown occurred. My apologies. Complete "Researching for Fun" activity (worth 2 points), following these instructions: USE PENCIL, NOT INK. Work the crossword puzzle and find all of the correct answers by searching for them on line if you are not absolutely certain what the answers are. No credit will be awarded if any answers are incorrect. Look them up folks, and you will surely find the right answers. Do "The Least You Need to Know" activity in this way: First click on a link to the Guide to Grammar and Writing online handbook (one at a time). Second, when the page opens, scroll to the bottom or middle and work one quiz as a "pre-test" of your knowledge of the grammar or punctuation convention. Next, read through that page of the GGW handbook. And, finally, do a second quiz (your choice, but choose a different one from your pre-test), and record your score from pre- to post-test in your notes, or self-assess your results where scores aren't given. You will turn those scores or self-assessment notes in to me at the next class (2 points). View and read about why I hate YOU!! Wednesday, 2/25 No class, snowed out again! Wednesday, 3/25 1] Submit the grammar crossword and "The Least You Need to Know" activities. 2] Begin errors analysis and revisions of "Prof. Comm." essays. 3] Document and peer review the multitasking/time management paragraphs. Complete the multitasking and time management essay, ready to submit at the start of class on 4/1. I will collect your SQ4R notes along with the papers. Complete the errors analysis and revisions of "Prof. Comm." essays. Wednesday, 4/8 1] Discuss the essays by Hughes and Orwell, focusing on what these essays show about these two very influential writers. 2] Begin writing summaries of each of the two narrative essays. 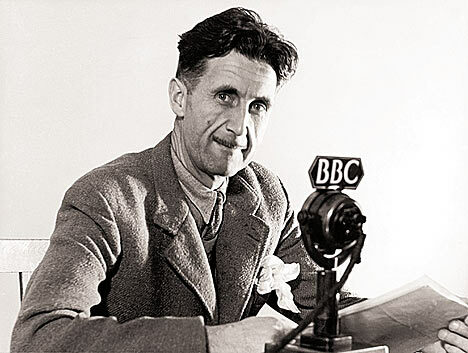 Read, view videos and listen to audio files about Hughes and Orwell from the lesson page. Take notes from the material on the lesson pages about Hughes and Orwell. In your note-taking, focus on the way(s) in which these two stories represent *defining moments in their own lives, in other words, how these incidents define them as the men they later become because that will be the topic of our next researched essay. Dive deep! Links: Link to our class web page and the TNCC web site. Email links for your TNCC email address and (optional) for your personal email (if you want other people to be able to contact you). Please remember that I cannot contact you about school-related subject matter except through your school email, and you will want me to be able to send you your website assessment and grade, right? Remember, this page is just a start. You will be adding your final revised and edited drafts of your essays into this "webfolio" starting next week. You may load your papers in now if you would like to, and edit them online after I have graded some material I currently have and have returned it to you. View this 23-minute video before finishing your summaries. It exemplifies the problem we were discussing in class on Wednesday that literary scholars discuss: the problem of an unreliable narrator's point of view. It was riginally an episode on Rod Serling's television series, The Twilight Zone, and the story was written by by 19th Century American writer Ambrose Bierce. It is called "An Occurrence at Owl Creek Bridge." Send me your two summaries, on two separate M.S. Word documents (as attachments) before Saturday. Use your college email to send them to me at Dollier@tncc.edu. Make sure that both sources have works cited. For Orwell, cite the website where his story is saved. I have also found a reprint of "Salvation," at a legitimate literary website, so cite that source. Take notes on the material by either Orwell OR Hughes which is posted on the lesson page to write a researched essay on one of those two writers (your choice). The topic of your essay will be how the story we read reflects a defining moment in the life of Orwell or Hughes. It will be at least three pages in length (including the summay) but not more than five pages. You may begin drafting it, or you may wait until next week when we discuss your topic choice in class. But be prepared to write in class by taking copious notes. You are not limited to only the sources I have provided. Begin your Wix website, including the text, images, and links I have posted above. I will collect your home page URLs in class to add to the webfolios index. Draft the final essay which will show how the story represents a defining moment in his life. (That will be the thesis of your essay about either Orwell or Hughes.) We will discuss and tweak the essays in class next week, so you must finish drafting them before class. Your homepage which 1) indexes the posted projects, 2) includes an image of you or one which represents you, 3) introduces you, 4) tells the purpose of your site, 5) links to our class page and TNCC's website, and 6) has your college email address. You may add anything you want in addition to the foregoing, such as your resume, your place of employment, links to sites related to your major, the next college you hope to attend, hobbies, favorite activities, favorite entertainment, your Facebook page, etc.--though none of those are required for your class webfolio project. Four revised and edited documented summaries posted separately: the Sparks article (multitasking), the McKays' article (time management), "Salvation," and "Shooting an Elephant." Note: I will read and give feedback on any webfolio that is completed early (before noon on 5/5/15) and sent to me in an email with the subject line "Webfolio preview request" so that I know what to look for. I will provide feedback on it prior to our final class on Wednesday evening. Wednesday, 5/6 1] Send me your Wix.com URL from your college email to my shortcut address: dollier@tncc.edu so that I can add them to the webfolios index. 2] Revise/edit the returned final essay and post it to your webfolio, 7-8:15 p.m. 3] Webfolio evaluation conferences, 8:30-9:30.